Members of Lower Kamula Youth Group in Western Kenya are shaking up their community as they are staying put while empowering other young people in the area to embrace a bright future as farmers. A youth group with grand farming plans is not something you stumble upon everyday, especially when young people are more interested in jobs in the city, than staying on the family farm. As a way to manage the challenges of an increasingly variable rain, as well as degraded land and decreasing land sizes, CCAFS together with local partners Magos Enterprises, Kenya Agricultural Research Institute (KARI), World Neighbors and ViAgroforestry and the nine youth group members, decided to construct a small greenhouse last year. In addition to that, they also decided to grow more drought-resistant crop varieties, drip-irrigation and turn to fish rearing. The activities carried out in this part of Western Kenya are part of CCAFS East Africa climate-smart village activities, which include several farmers championing climate-smart farm practices, while teaching others on how they too can adapt to a changing climate. 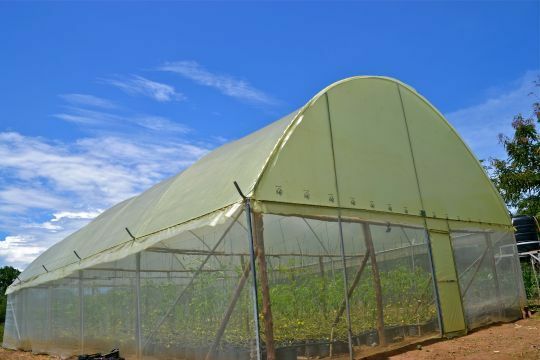 Covered with polythene and combined with drip irrigation lines, this particular greenhouse has the advantage of saving water while protecting the crops against flooding and drought, and offers better control of pests and diseases. In short, a greenhouse can help guarantee a steady yield even if the outside weather plays tricks on farmers. The activities come with a research purpose too, to see how greenhouses and water pans with fish can help farmers adapt to climate change. The greenhouse that the youth group uses to plant and grow vegetables. Tomatoes were the first vegetable that the group decided to grow indoors. After harvesting, a plump tomato can be sold at 5 KSH (0.05 USD) per piece at the market, giving the group a secure income as well as a food source. 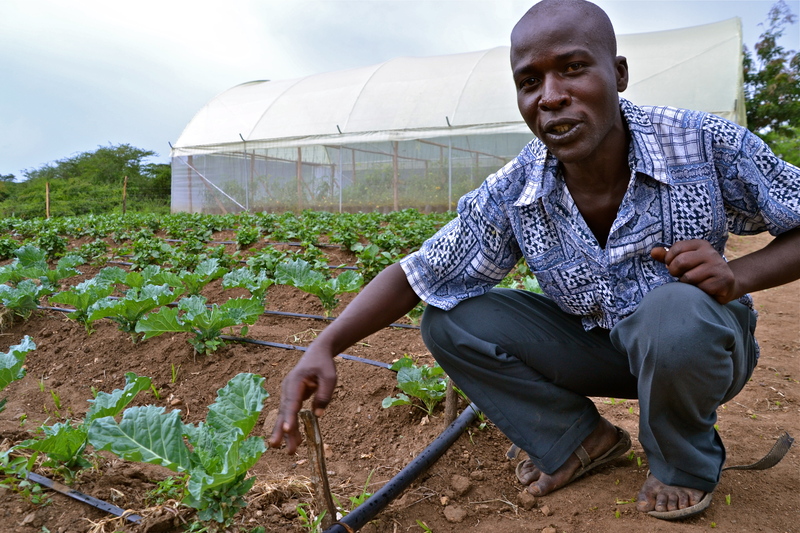 In the field, the group is testing hybrid crops, such as drought-resistant Sukuma Wiki, a nutritious green vegetable, green beans, sorghum while using their drip irrigation. After earning around 240 USD in one year, it is now time for the group to come together and decide how they will re-invest that money in the various farm activities. One high-flying but still realistic plan is the idea for the group to save enough money to provide every youth group in the area with a greenhouse and related trainings for horticulture, i.e. growing tomatoes and other vegetables. The group believes this would encourage other young people in the area to stay in the community and not move to the city to look for work. Ambition is to empower the whole village, and not just themselves. View additional photos from the visit to the Lower Kamula Youth Group in Kenya.